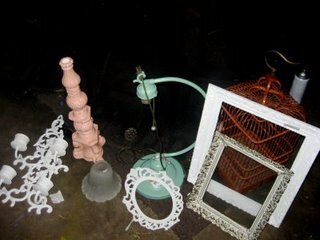 and I happen to have some cool finds! I’ll post about one of my most recent finds. As mos of you know, Tracy and I do a lot of garage sailing and thrift hunting. I simply painted and the adhered the paper, sanded a little and sprayed clear acrylic all over. 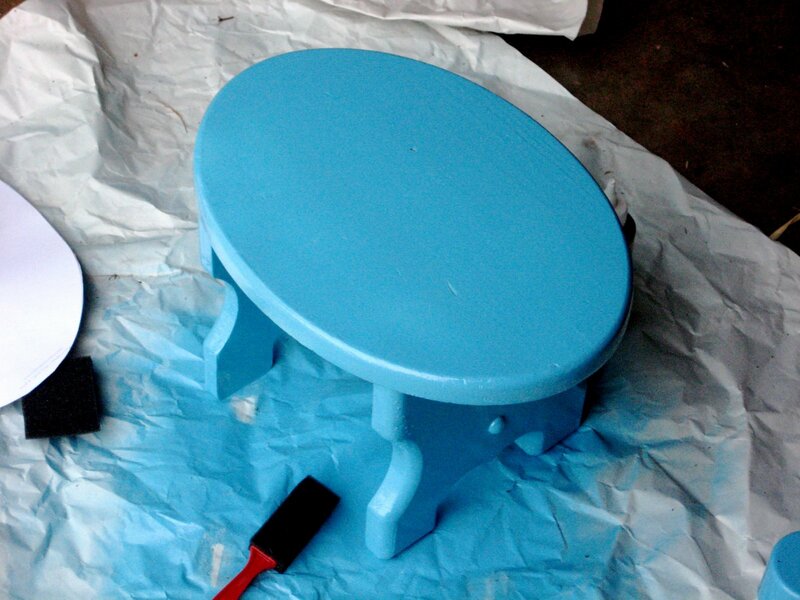 So… If you have any thrifty makeovers, go and post now! OR, just go look through the links for some great inspiration! A Milestone reached… PLUS a sampling of loaner clothes! super cool… love it!! !and nice of you to let him help pick out the color & paper… what a nice mom you are!!! O.M.G…..I was ever so giggled to see a post from you girl!!! Ha!! !LOVE LOVE LOVE IT!!!! I found one this weekend for $2 that I am about to get started on!!! Great job! Love your redo, simply fab-u-lous! OK…so I FINALLY gave in and am joining the blogging world! Hope I do not live to regret this! 🙂 Love the makeover, BTW!! Wow!! 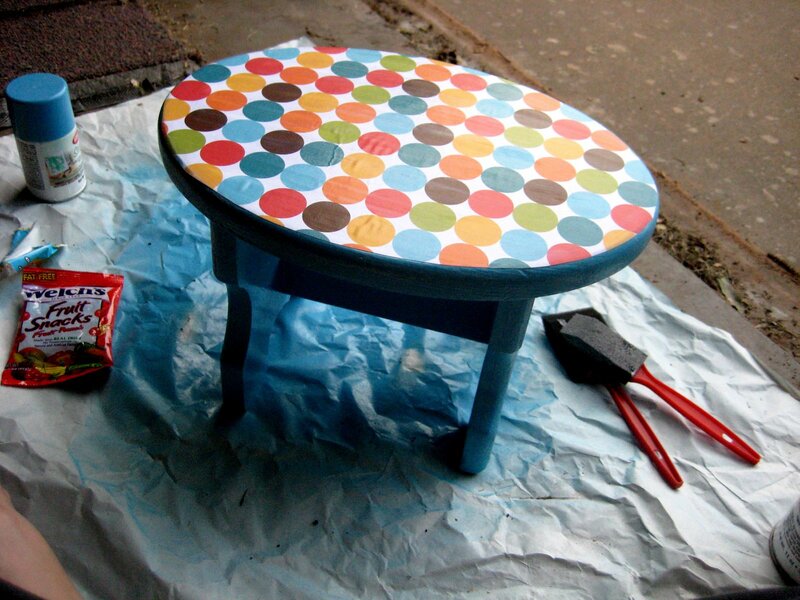 What a cute stool in the end! So impressed! Just plain paper? What did you adhere it with? Adorable! so – is it still $1? I would like to buy it!! 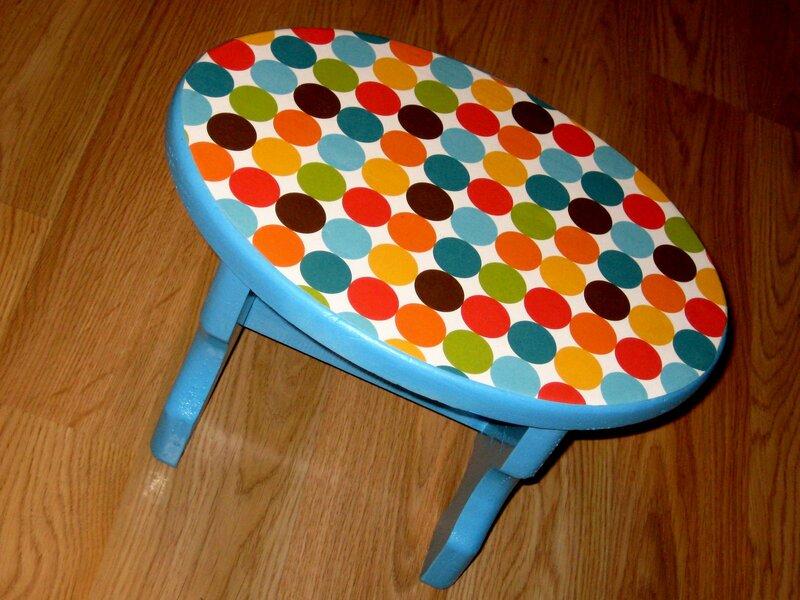 Adorable stool! 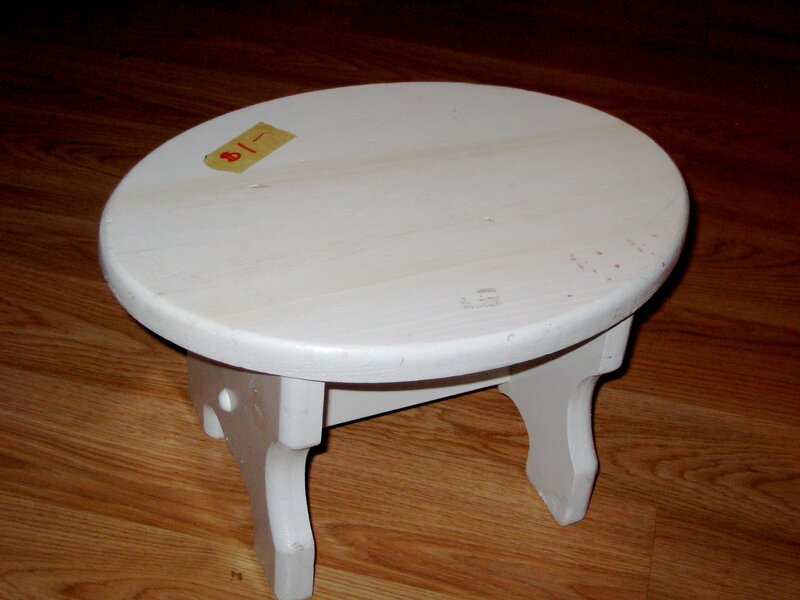 I’ve been wanting a stool for my 3 year old, now I am going to hit all the garage sales in search of one! Great idea! Look at those outfit combos…he's so cute and getting so big!!! !